Why buy all the parts, when Molex can offer a single piece solution? 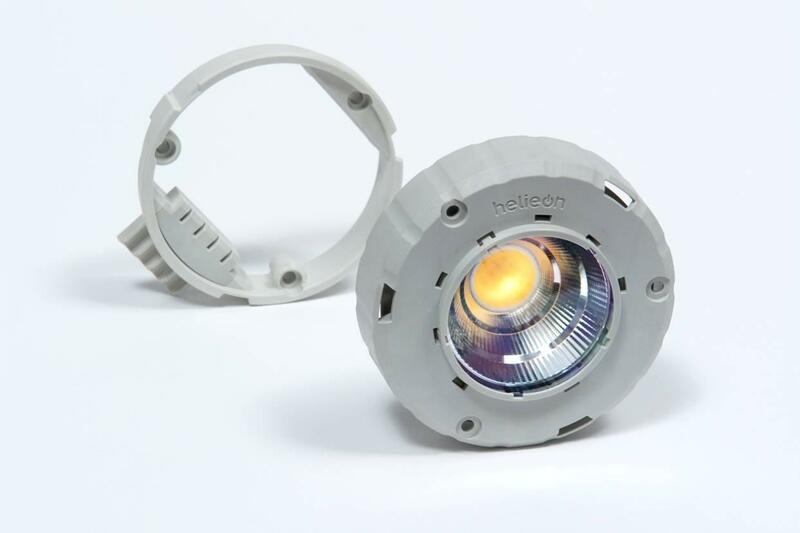 Molex has extended its current Helieon product portfolio and is now offering a single unit, fully integrated Helieon sustainable light module with integrated drivers built in. By reducing the number of building blocks, Molex has taken out the variability and ultimately, the risk for SSL fixture designers. The fully integrated solution enhances OEM’s speed to market, ease of use, and reduces the number of individually purchased components required for a lighting system, with the end result being an extremely cost-effective and off-the-shelf solution. The plug-and-play feature allows OEMs to select lumen output, colors and temperatures all utilizing a standard socket interface. This modularity also allows field upgrades and serviceability, extending the life of the fixture. Stop by Molex booth# 2155 at LIGHTFAIR International 2011 to see the latest lighting solutions that we have to offer!